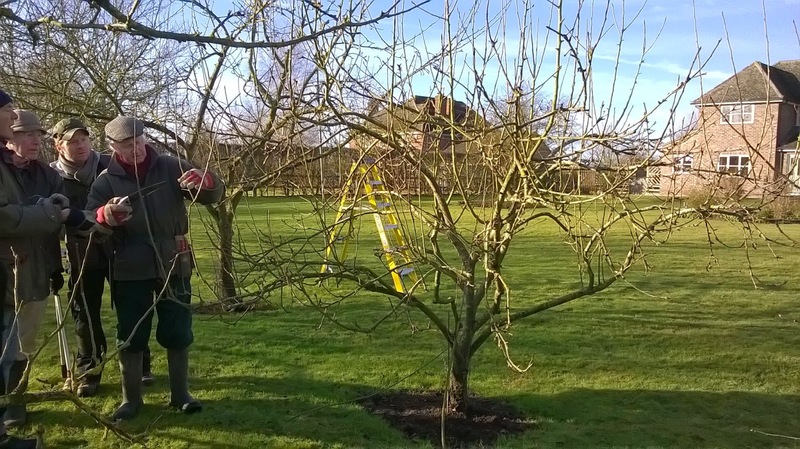 Another orchard owner in the village has asked us to prune her 15 trees as well. 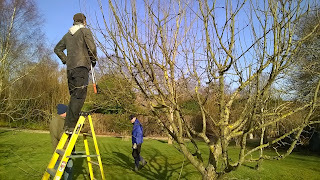 They are more mature and as you can see from last year some need a head for heights and some ladders. 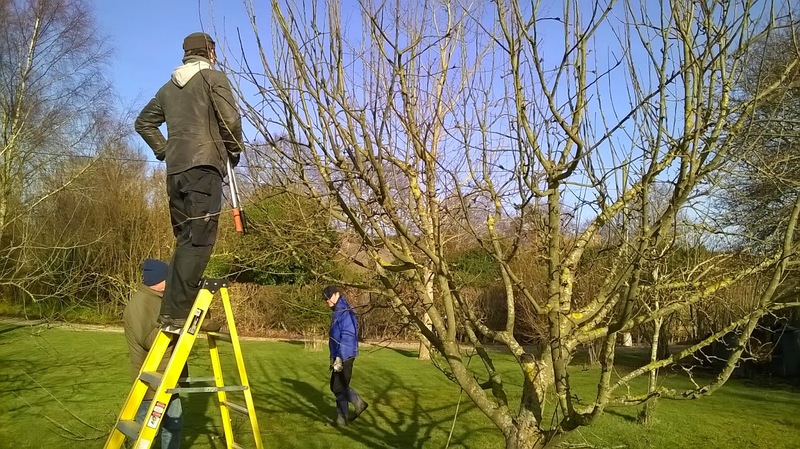 Bring along ladders if you have any, as well as secateurs, loppers or saws; we will have spares to use and we can sharpen any of yours. 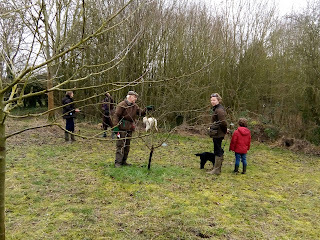 Hot drinks and homemade cakes will be available. 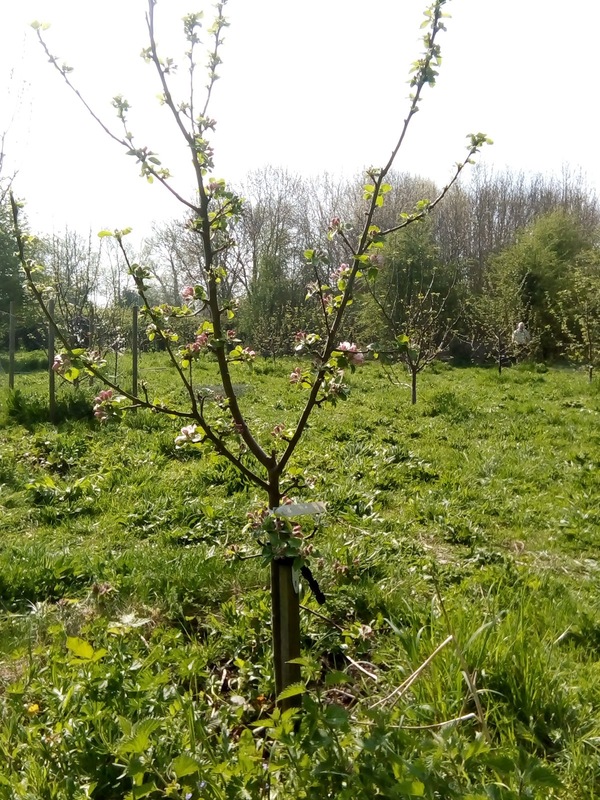 Call Paul 01491 836661 for more information. 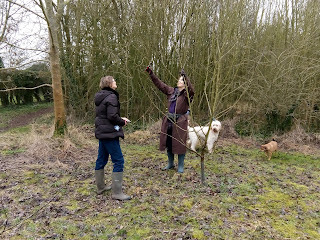 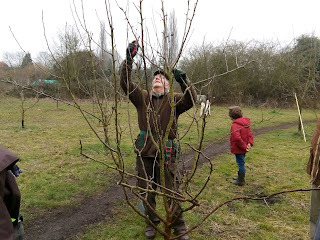 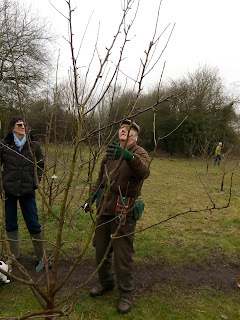 We did really well pruning all the trees in the community orchard today; just two hours to learn and prune all 45. 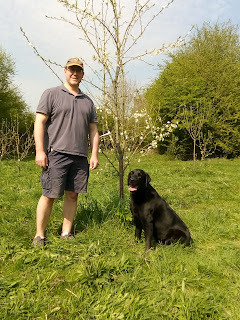 The trees are really healthy and already have fruit buds showing. 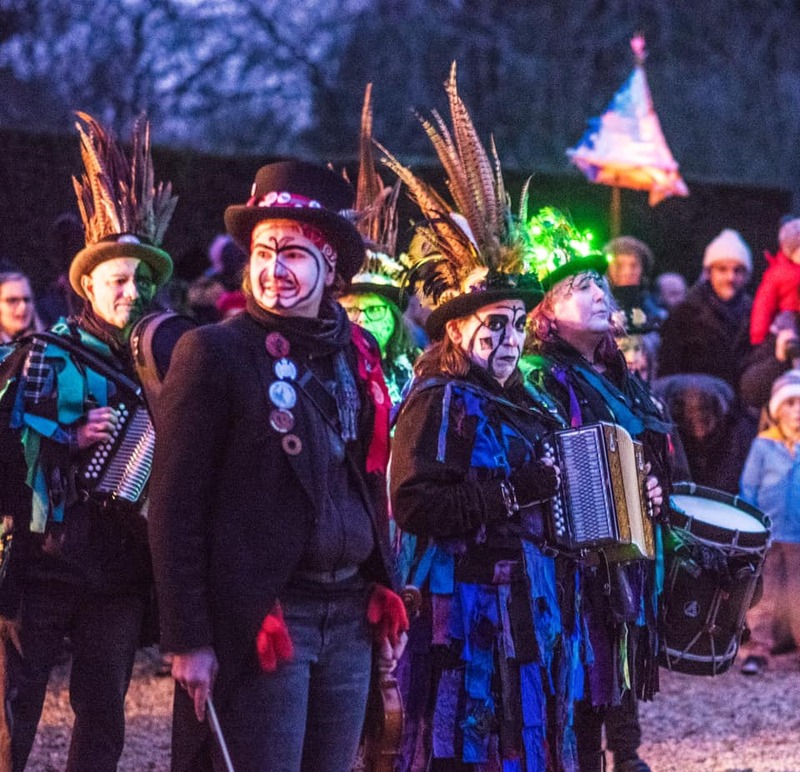 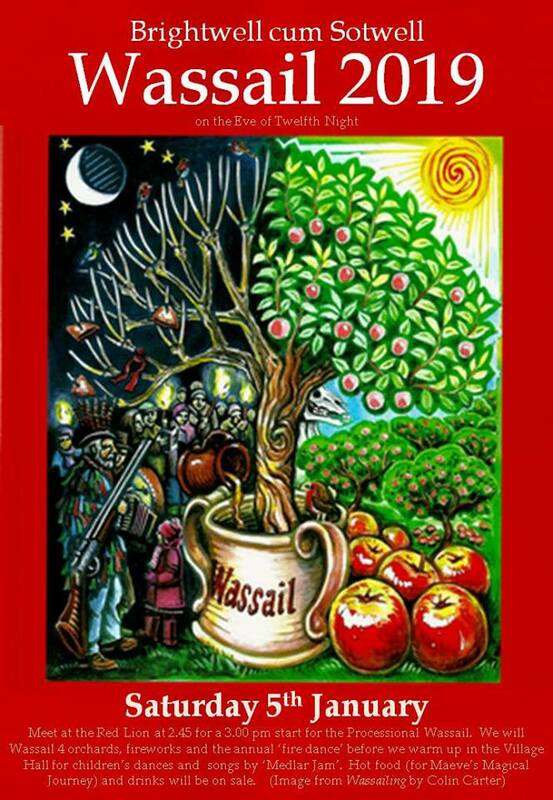 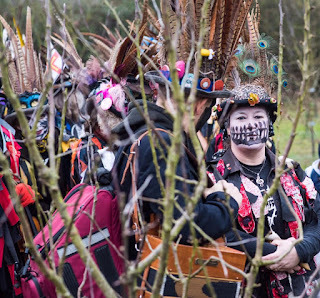 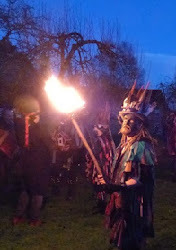 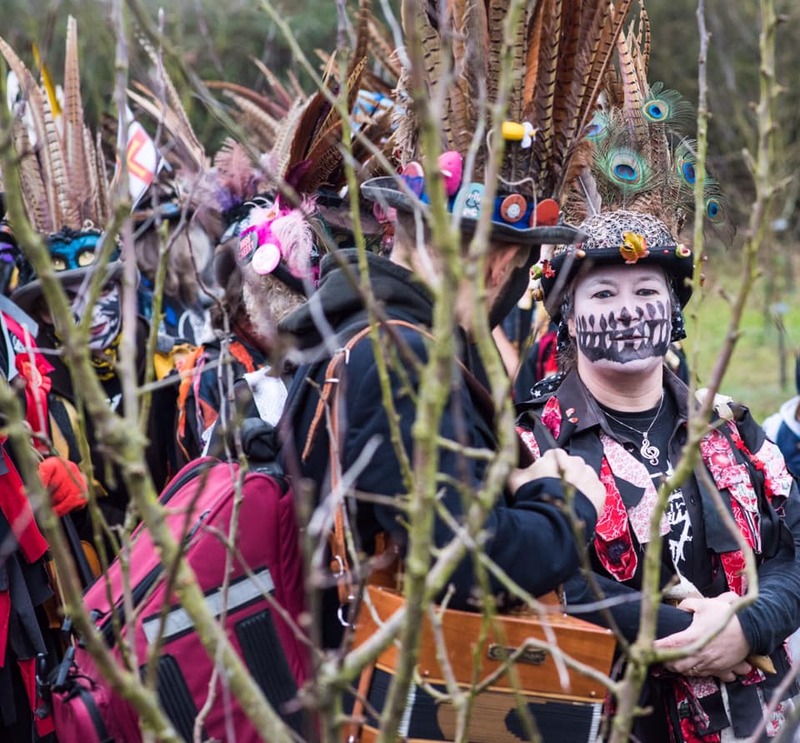 What a fantastic Wassail on Saturday 5 January; we were amazed as over 500 revellers joined in. 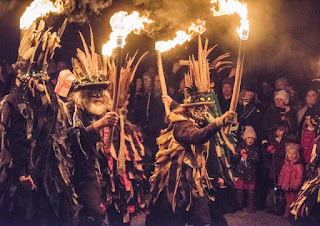 It can be said that now all the evil spirits in the orchards have been driven away with shotgun fire, the trees have been woken up from their winter slumbers by drumming, singing and dancing and the good spirits of the trees have been fed with cider and toast we can be sure that the harvest will be wonderful this year! 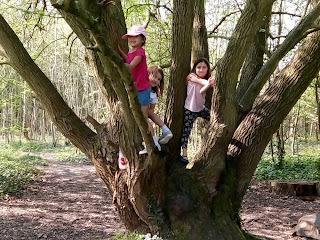 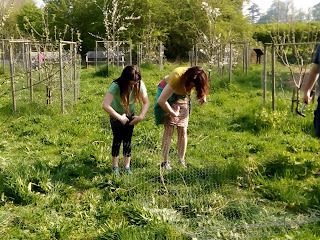 We crowned a king and a queen at one of the orchards by giving special cake to the girls and boys and whoever found the hidden bean was royalty for the day. 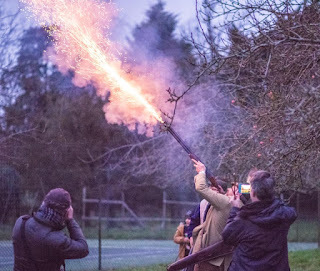 Their royal duties included placing mistletoe in the branches to attract the birds. 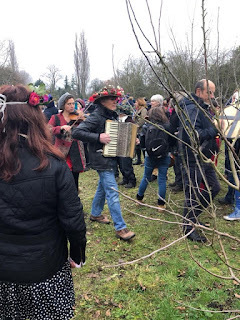 The procession set off from the Red Lion for the community orchard where the children were given hazel twigs to beat the trees to wake them up and buckets and sticks to beat and make lots of noise. 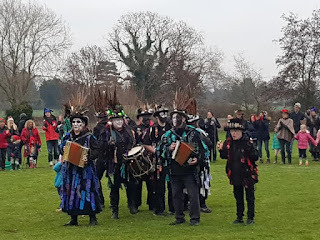 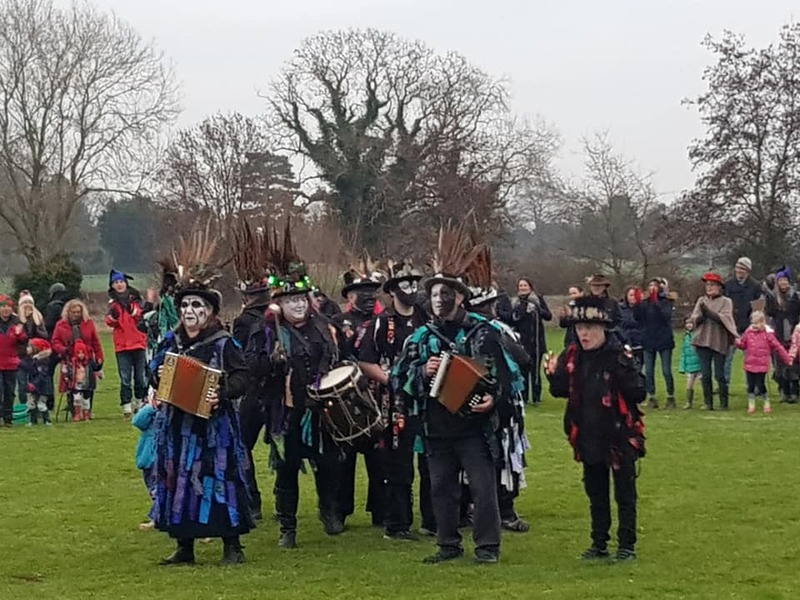 As ever the merry band of villagers and visitors was lead by the fabulous Armallegan Morris who danced and sang at each orchard and when it got dusk danced their spectacular fire dance at the last orchard. 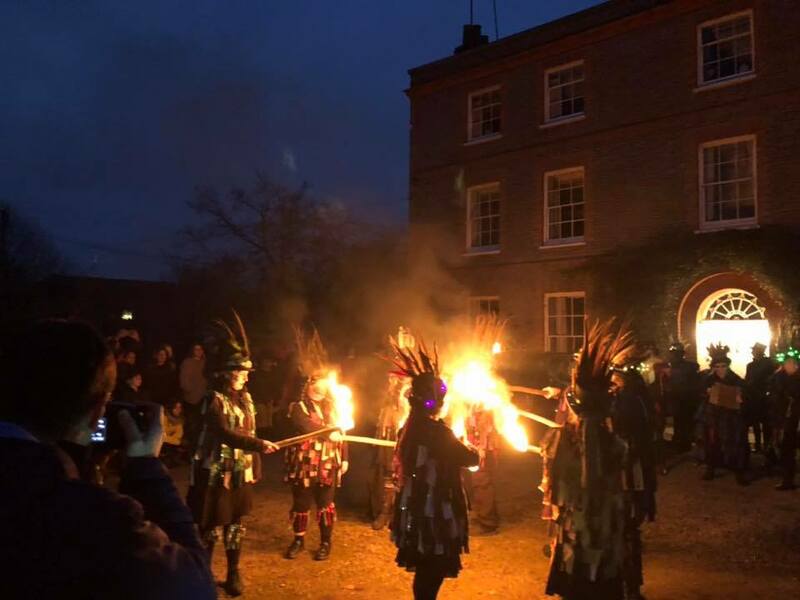 The celebrations were topped off with a firework display, traditional lambswool and more music and dancing at the village hall. 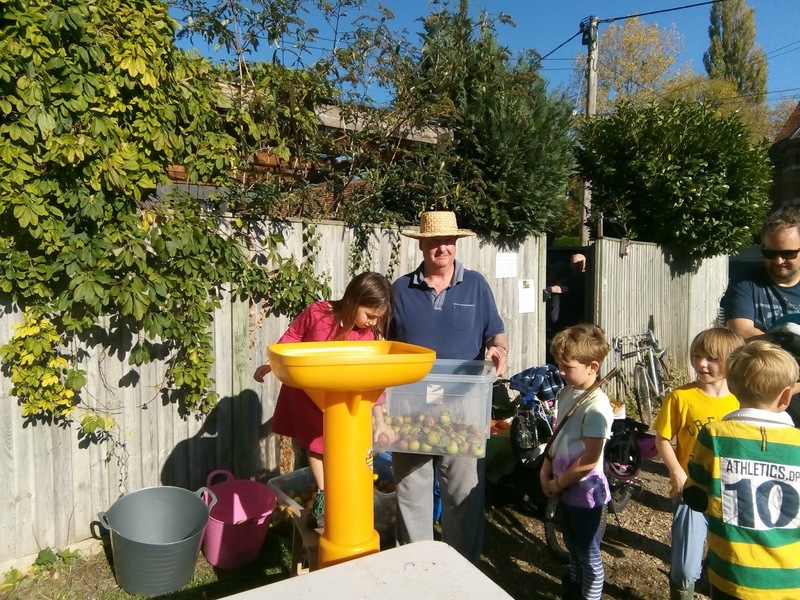 Over 400 visitors enjoyed the lovely autumn sunshine at this year's Apple Day at the Red Lion. 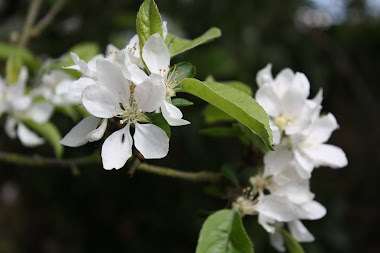 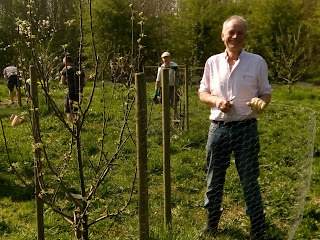 The pub was packed for Sunday lunch, the garden was full with people tasting over 17 different heritage varieties of apples and pears, and the car park was where the apples were being pressed. 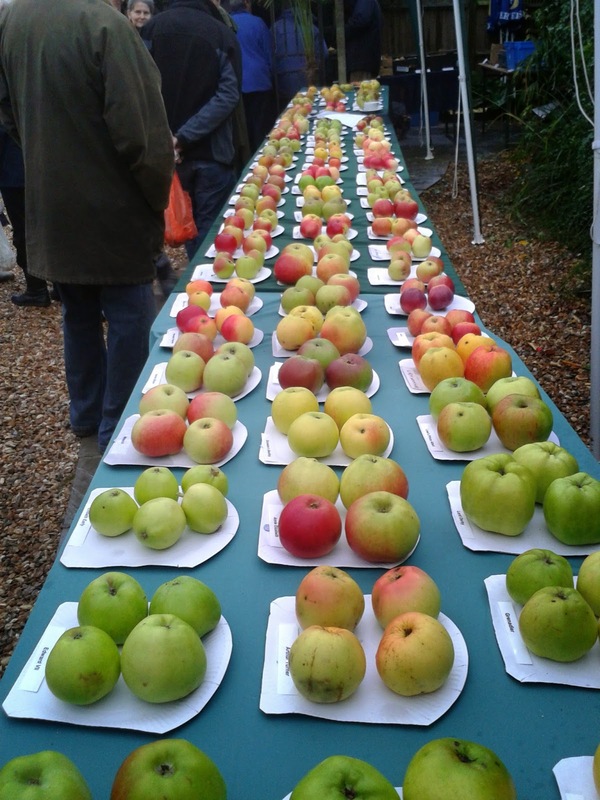 By far the best part of the day was former fruit farmer, Paul Chilton's, GIANT display of heritage varieties of apple presented in the traditional exhibition style. This year he excelled with 122 varieties; you will NEVER see these apples in a supermarket! 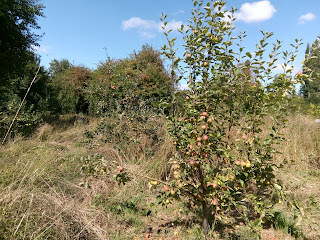 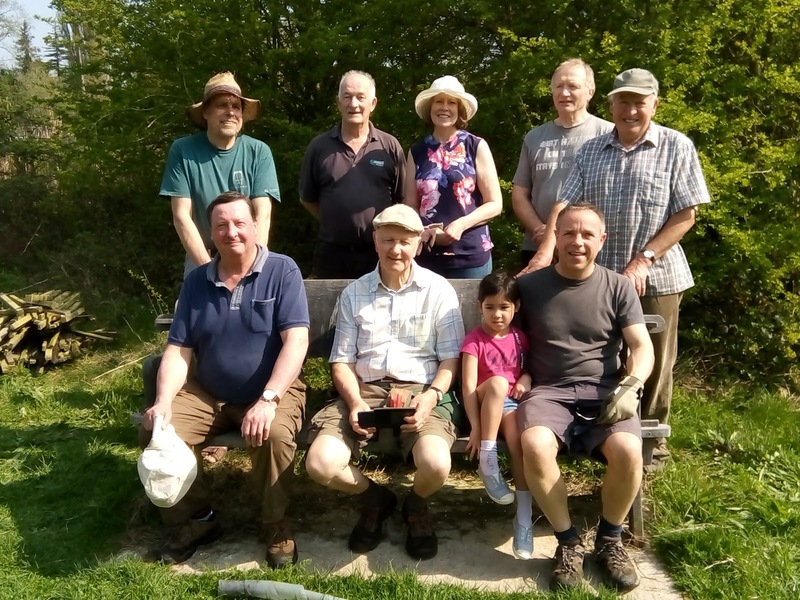 Some of varieties of apple for tasting included Ashmead's Kernel, Adam's Pearmain, Golden Pippin, Spartan, Wagner, Claygate Pearmain, Blenheim Orange, Red Delicious as well as Egremont Russet and St Cecilia; all of these are grown in the village gardens and orchards. People could also taste the chutneys and decide which one to go with their cheese baguette or a pulled pork bap. 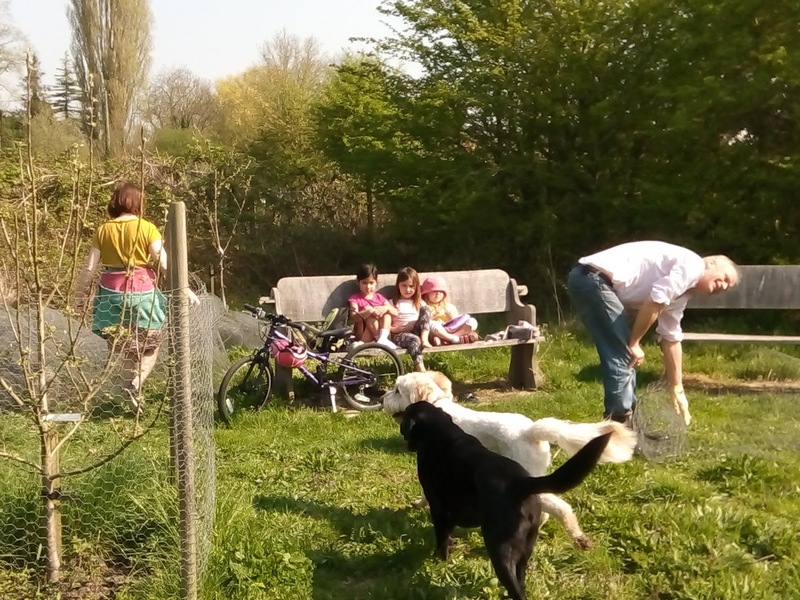 The Brightwell Supporting Refugees raised almost £300 on their stall selling an amazing choice of cakes, pastries and biscuits. 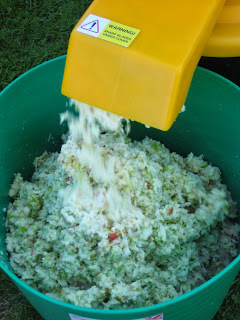 The apple press was running from 12.00 until 3.00 and we made over 120 litres of juice. 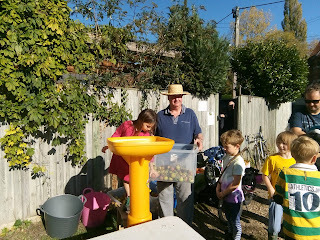 Some brought their own apples and bottles which was very satisfying to see, after all, using the fruit that would otherwise have gone to waste was the very reason this village bought the press in 2009.. 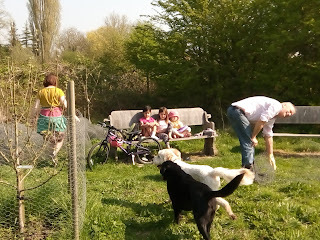 This was a great family day out with the kids really enjoying the apple activities. 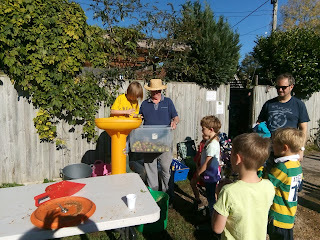 Many of them took the apple bobbing very seriously and ended up soaked from head to waist; lucky the sun was shining! 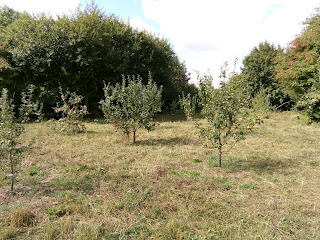 The wildflower meadow amongst the trees this summer was wonderful; many of them grew to waist high. 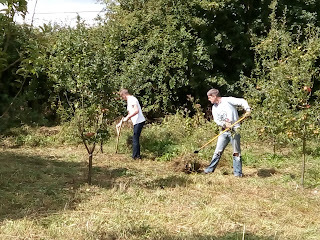 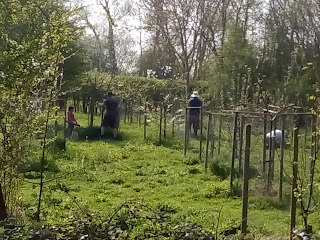 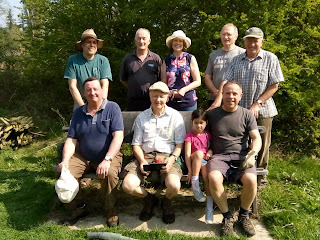 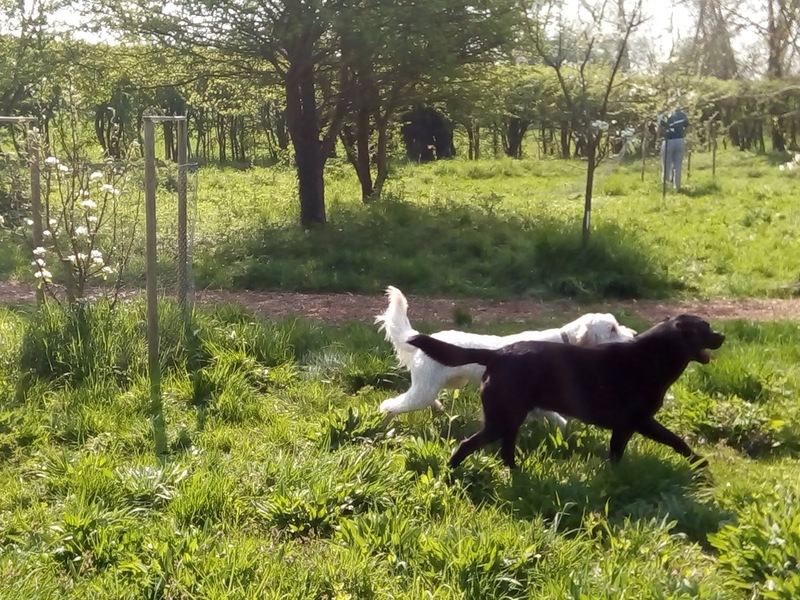 We mowed the orchard this weekend using traditional Austrian scythes. 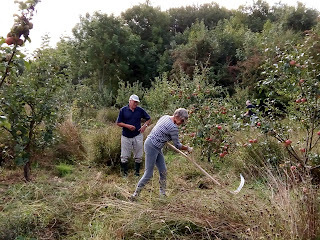 It is so pleasing to cut through the grasses with a sharp blade and a mesmeric swing. Have a look at the before and after. 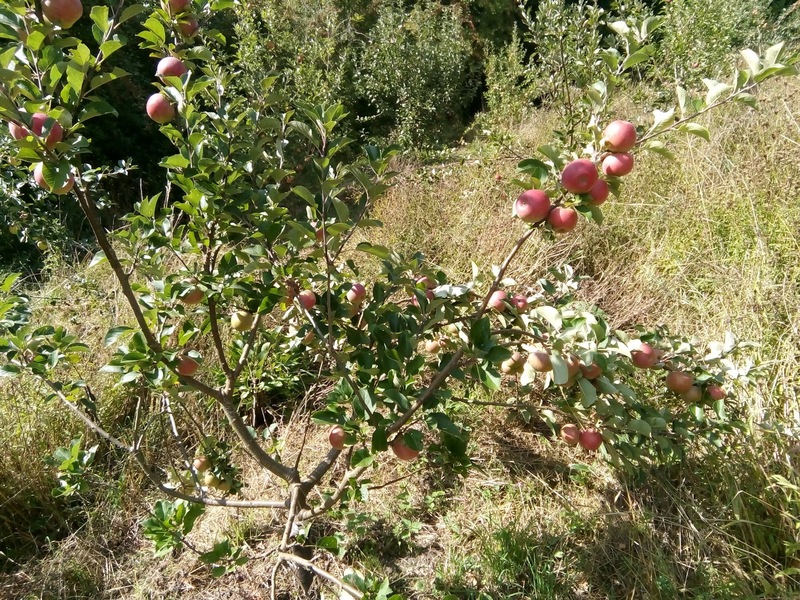 The first season fruit is ripe and ready for the picking. 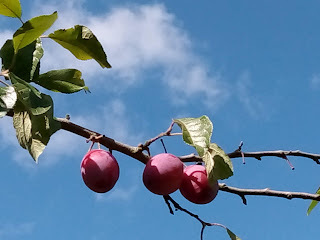 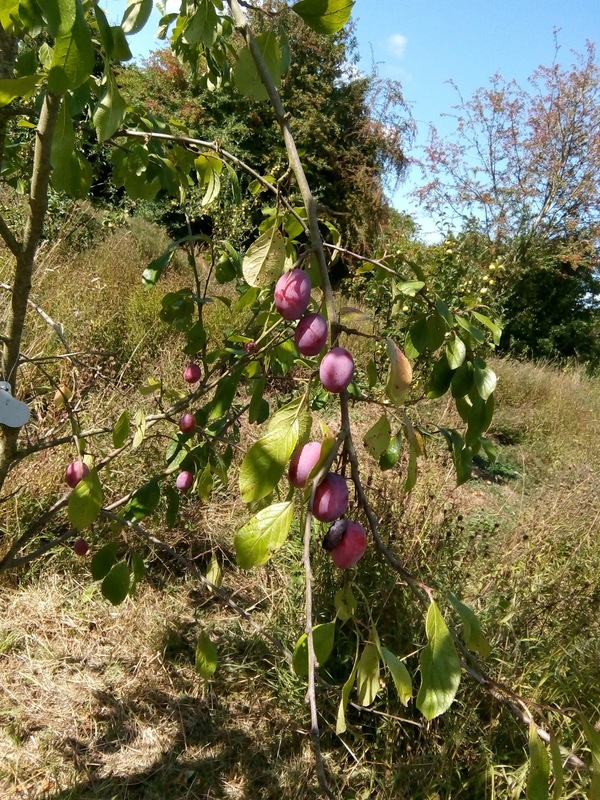 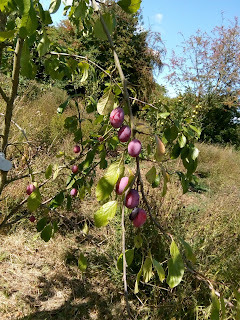 James Grieve, Miller's Seedling, Discovery and Tydemans Early Worcester as well as the Victoria plums and Greengage. 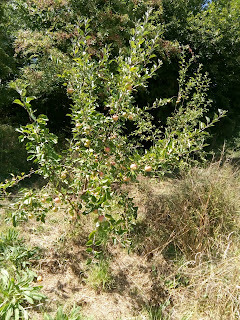 The Scrumping Season has already started. 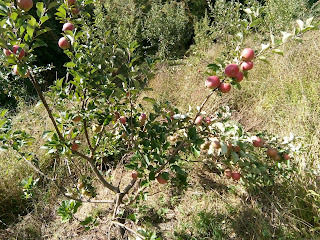 Remember, the way to tell whether the apples are ripe is to see if there are any windfalls. 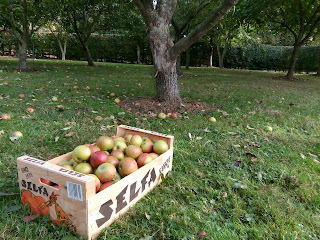 When the fruit starts dropping they are perfect for picking. 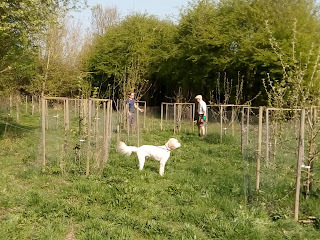 The trees have been growing so well that they have outgrown their protective frames; fruit buds have been sticking through on all sides. 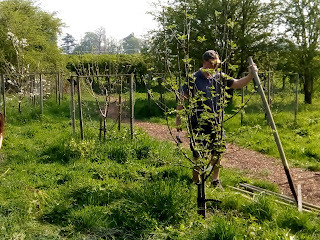 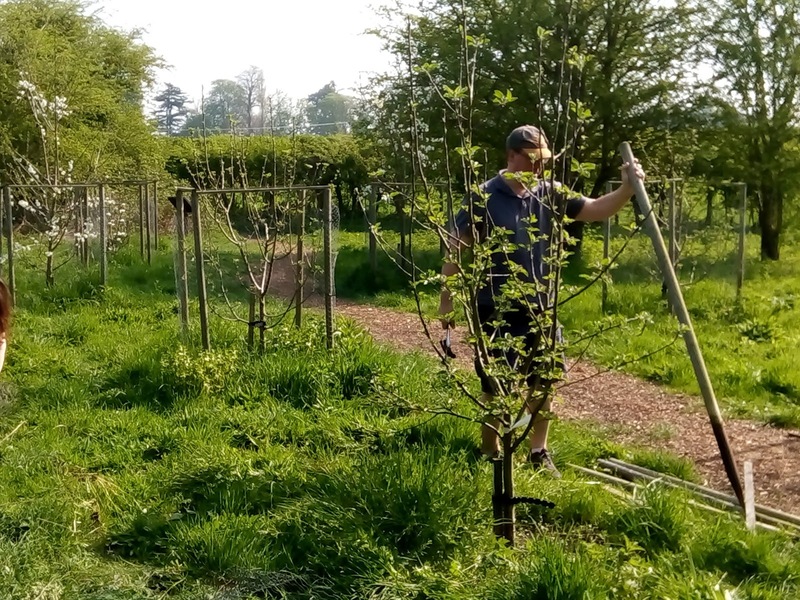 In just a few hours a group of willing helpers removed all the frames around the trees and now the orchard is now looking like the real thing. 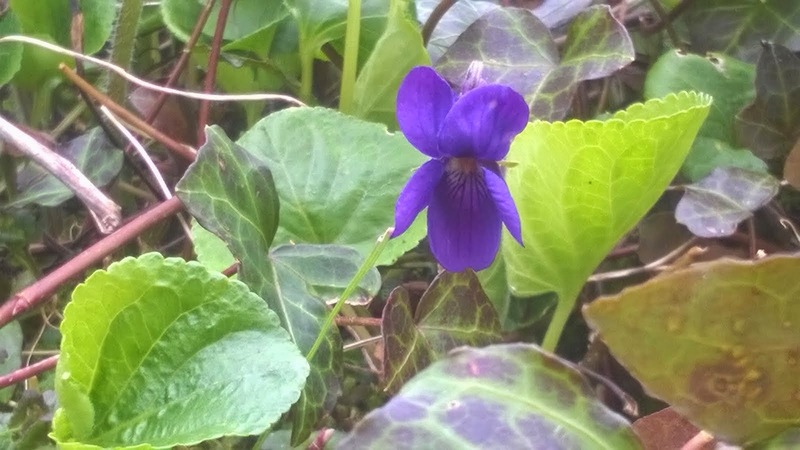 Not bad having only been planted in November 2014. 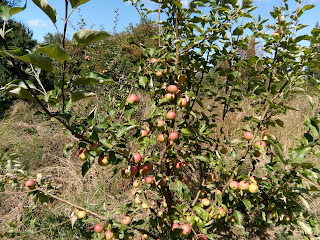 As long as we don't get a late frost like last year it looks like we will have a bumper harvest. 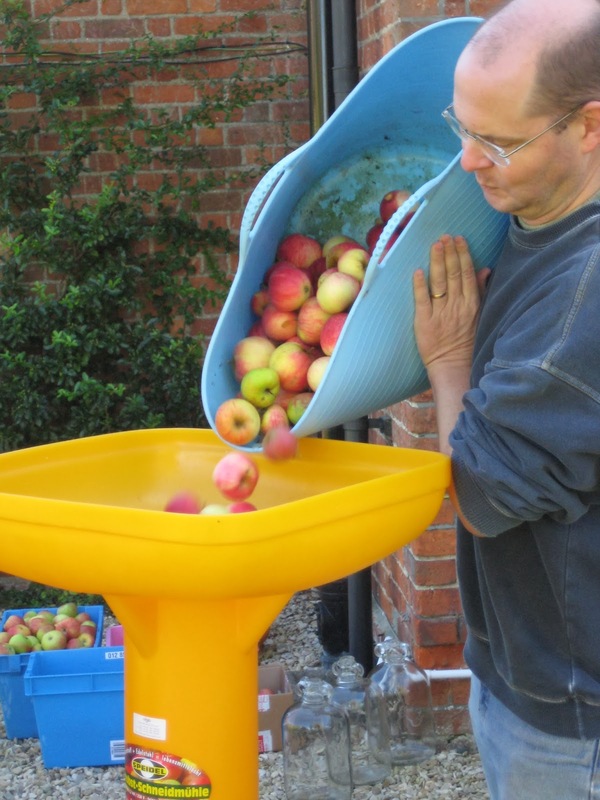 Make your own juice (or cider) this year. 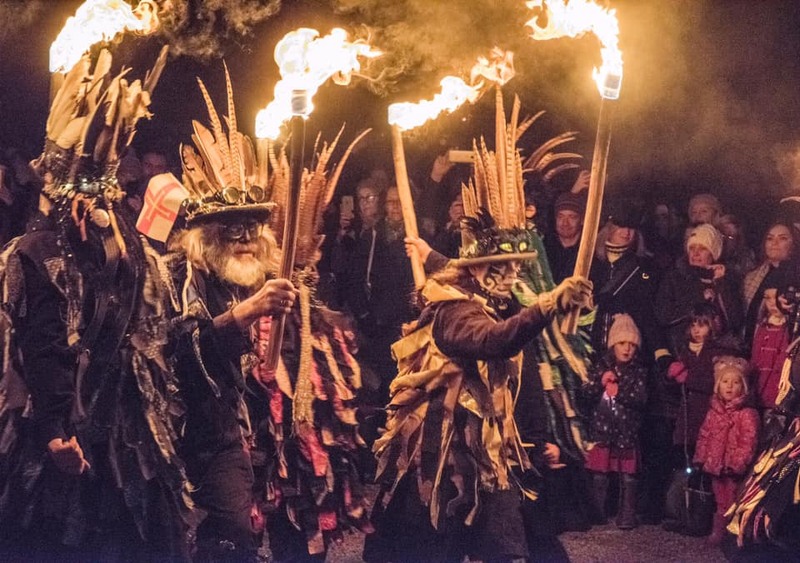 To hire the Village Press please contact: Robert Field - 01491 836275. 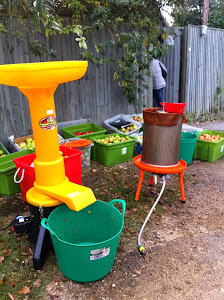 Hire is for the day at £35, this includes all the equipment required for pressing but not bottles or caps. 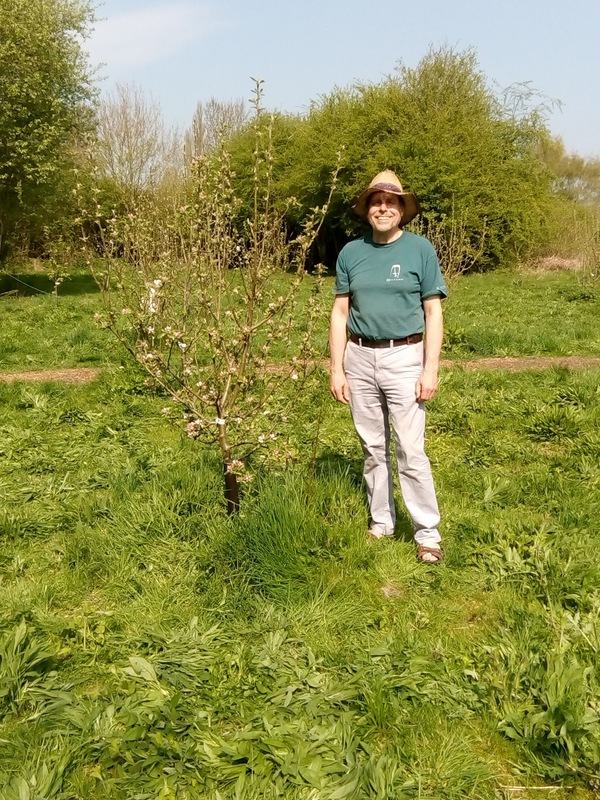 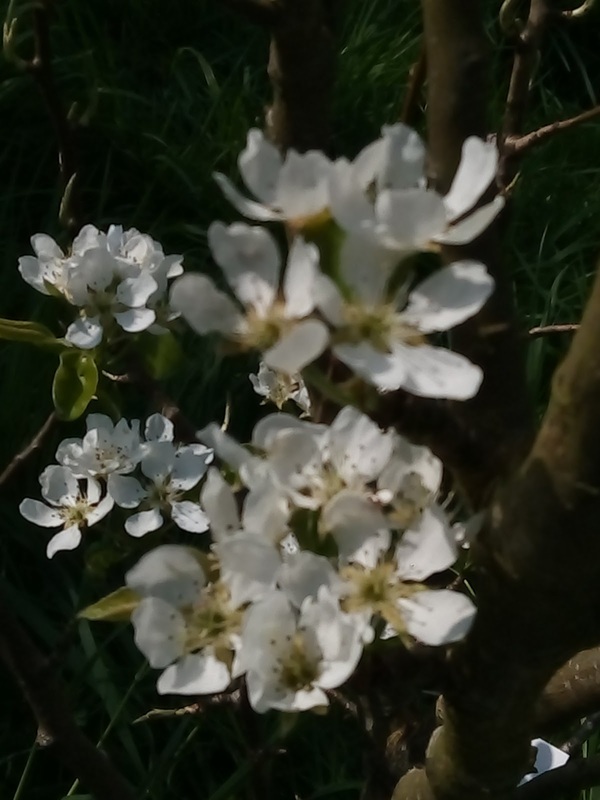 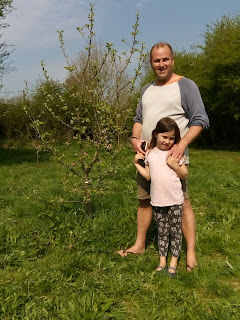 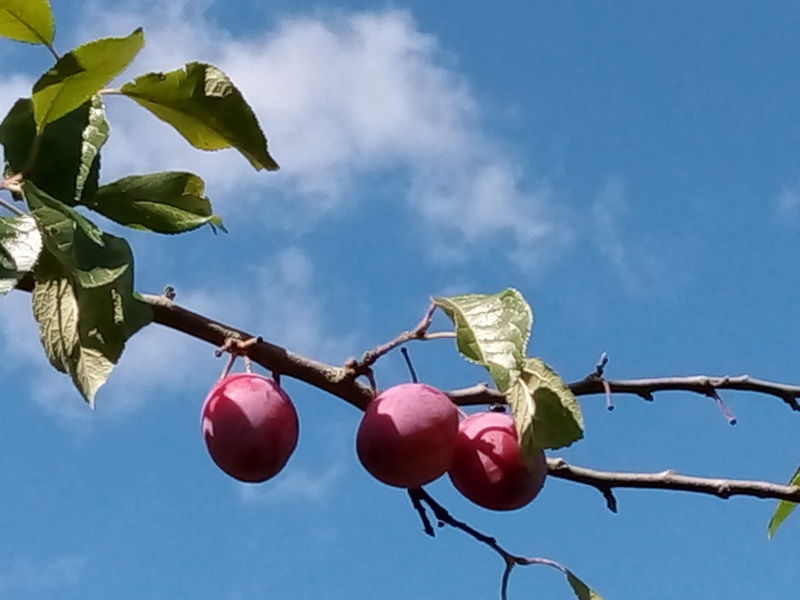 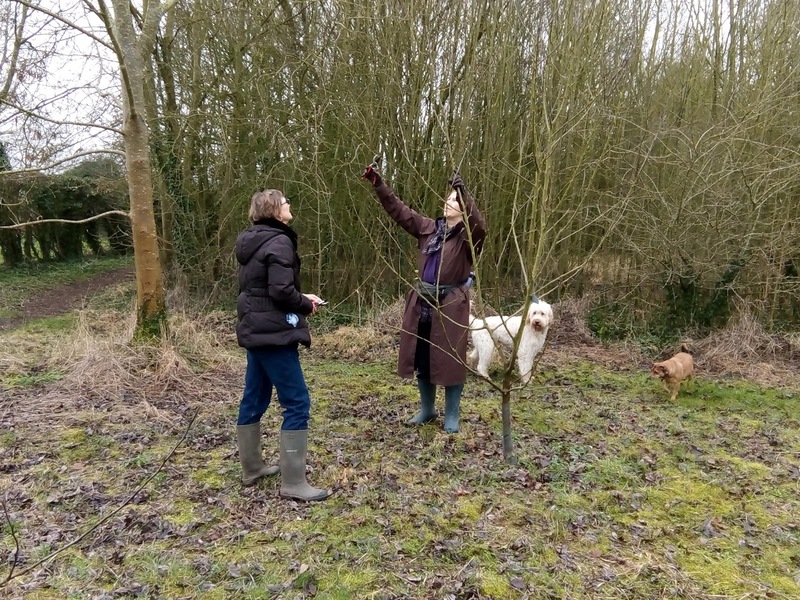 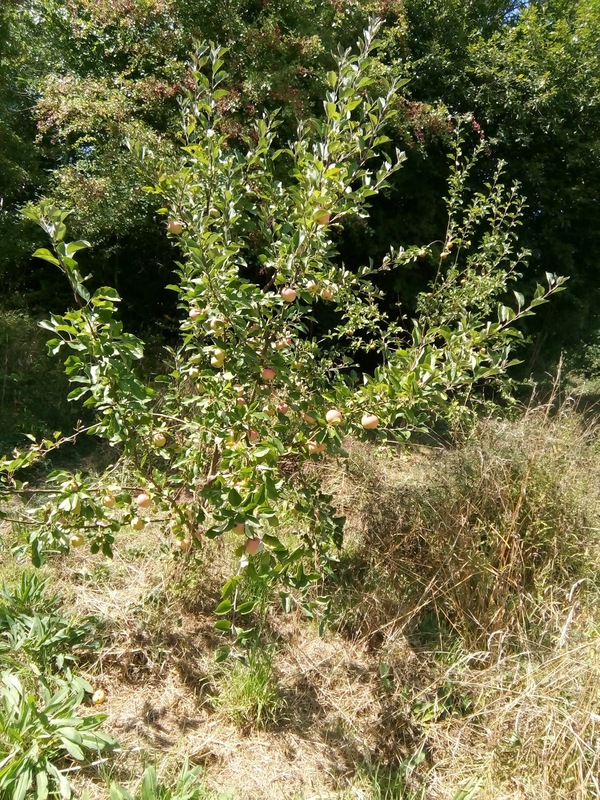 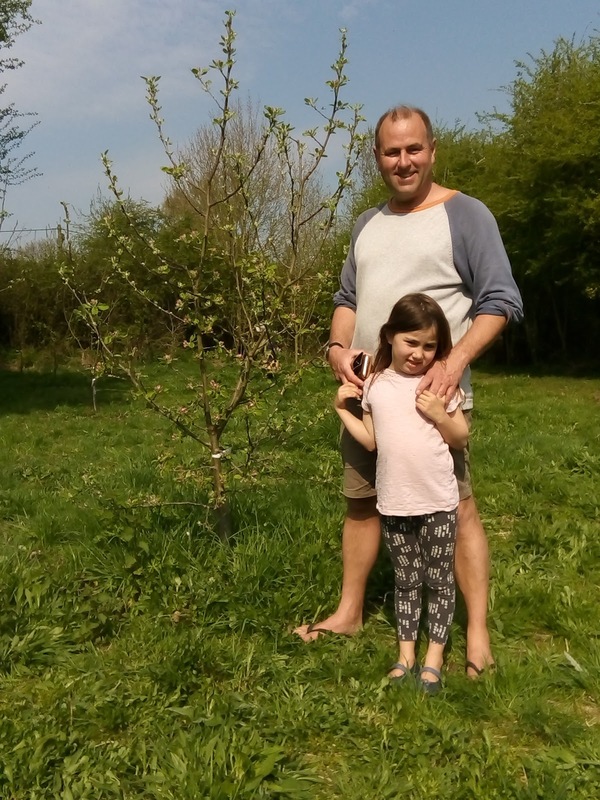 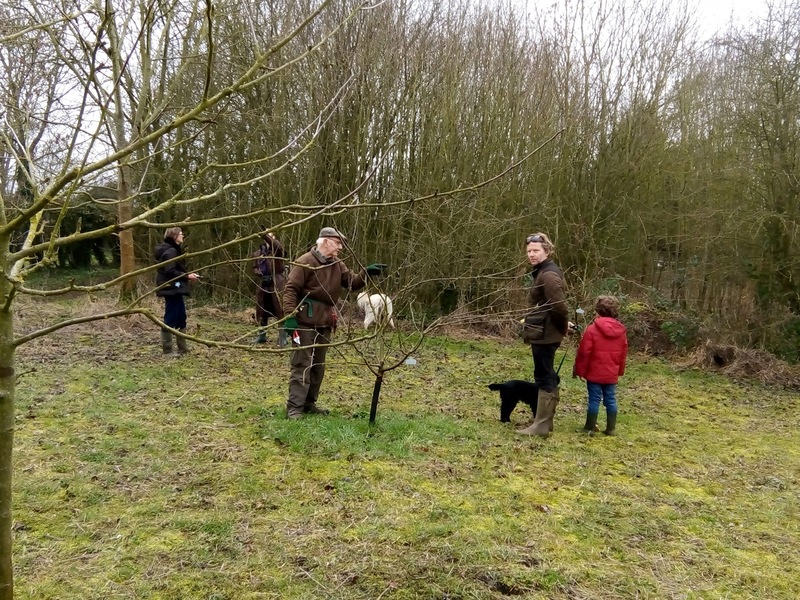 Community Orchards offer a way of saving vulnerable old orchards and opportunities to plant new ones. 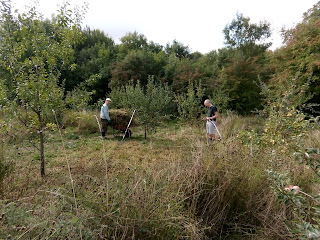 They provide places for quiet contemplation or local festivities, a reservoir of local varieties of fruit and a refuge for wildlife.